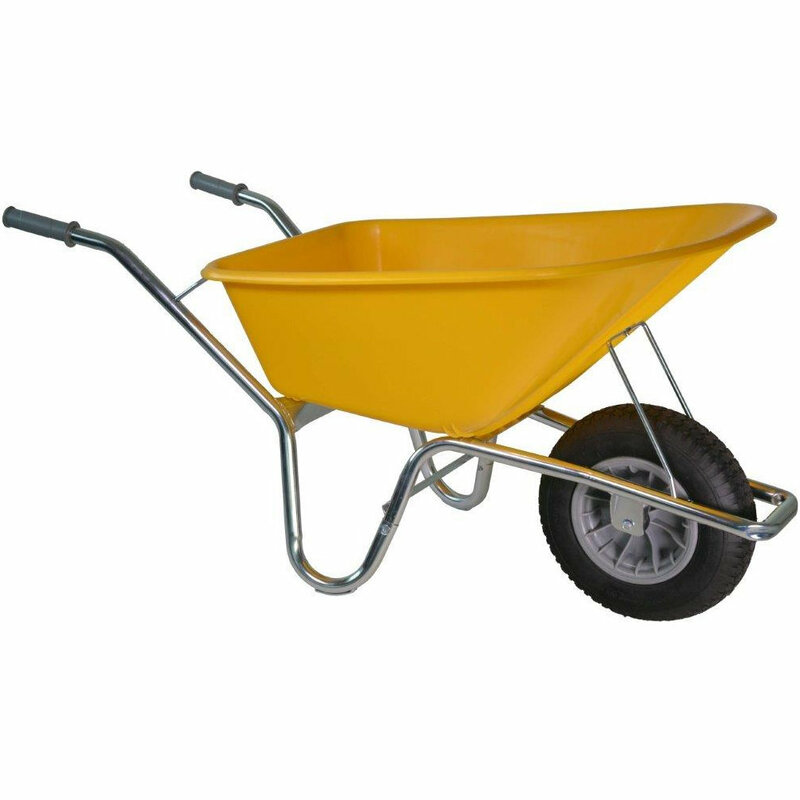 The Ultimate Heavy Duty Barrow - for the very most demanding jobs. The SiteBlazer 750 is built to take the punishment of the kind of all-day-every-day use that would kill an ordinary barrow in no time at all. If youre moving and pouring concrete all day, youll know the frustrations of the Barrow Buyer: He has been WASTING money on barrows that patently are not up to the job! The SiteBlazer 750 is up to just about anything you might care to throw at it, and is guaranteed to save you money over its lifetime. 3. ...and that brace is again supported vertically be a steel rod, LOCKING this critical part of the construction into place, for good! Now look at the front part of the chassis and that ingenious, fully enveloping support for the front tray edge PLUS no less than two reinforcing braces - one vertical, one diagonal. Talk of belts and braces... but theyre all in support of YOUR ultimate profitability, avoiding downtime, reducing the rate at which youve been writing off barrows, and minimizing back strain in your employees! SiteBlazer 750 - Capital Kit that Earns its Keep! * Tray in ultra-tough Polyethylene (PE) designed for easy and ergonomically correct pouring. * Tray forms a virtual spout when tipped. * Rugged 4-ply tyre on safety wheel rim with real steel roller bearings. AT LAST A SAFE INVESTMENT!